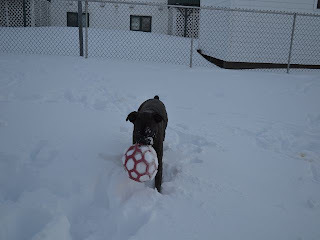 More fun to be had in the snow today. 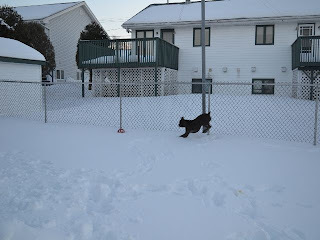 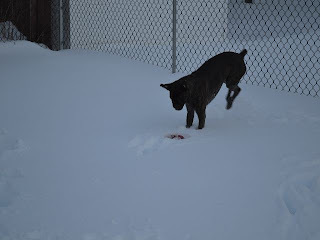 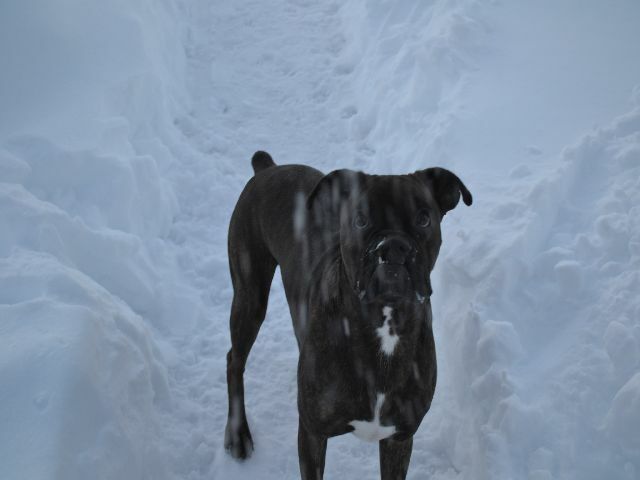 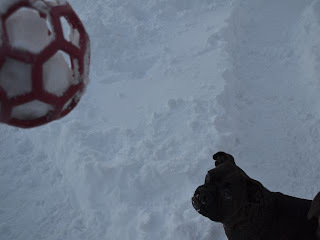 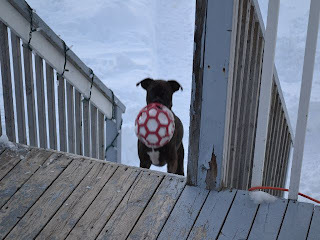 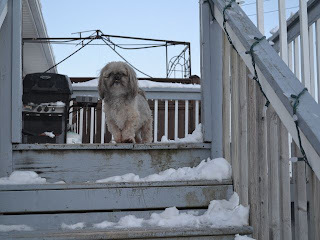 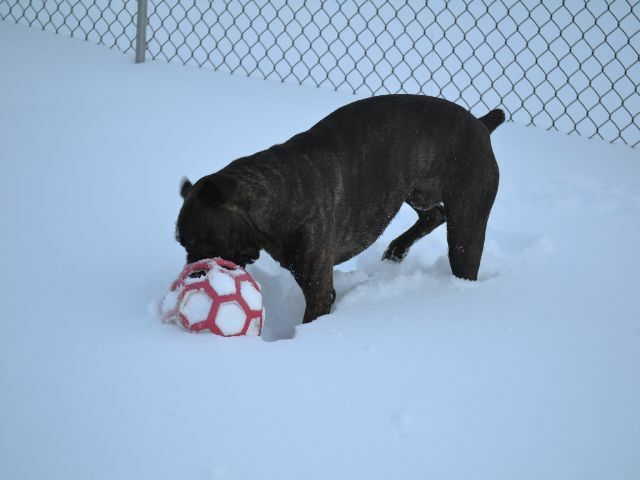 Brosa digs out his Holee-roller from a snow bank and happily leaps for it over and over again each time I throw it. If you think you're bringing that snow-filled Holee-roller indoors, think again buster! 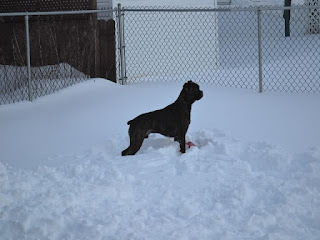 This is what Brosa looked like this afternoon when snoozing, lol! Will March come in like a lion? 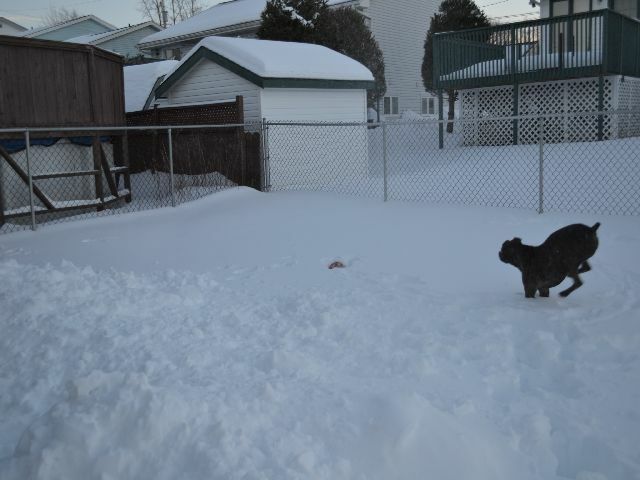 Our first big storm of 2011!